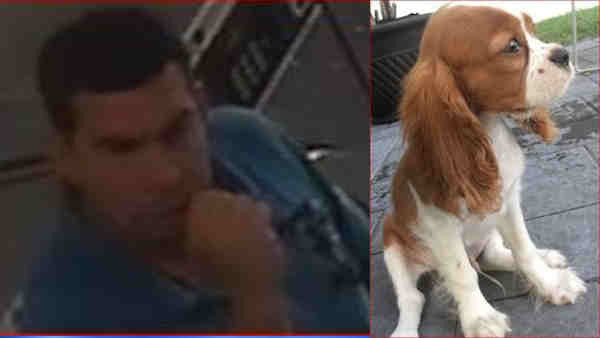 BUSHWICK, Brooklyn (WABC) -- Police are looking for a man who they said stole a dog from a Brooklyn laundromat. Around 3:30 p.m. Monday, a man went into a laundromat on Knickerbocker Avenue and took the victim's Cockalier dog, according to the New York City Police Department. He then fled on foot southbound on Knickerbocker Avenue. The individual is a male white or white-Hispanic, in his 30s, 6 feet tall, 170 pounds, light complexion, black hair, brown eyes, and was last seen wearing gray sneakers, blue jeans, blue shirt, tattoo on his arm.